With its intuitive and customized online investment platform, Nutmeg aims to democratise savings & investment. The service is built to match user profile with portfolio needs. Last week, I covered Finovate Europe 2012 live on the Visible Banking blog. 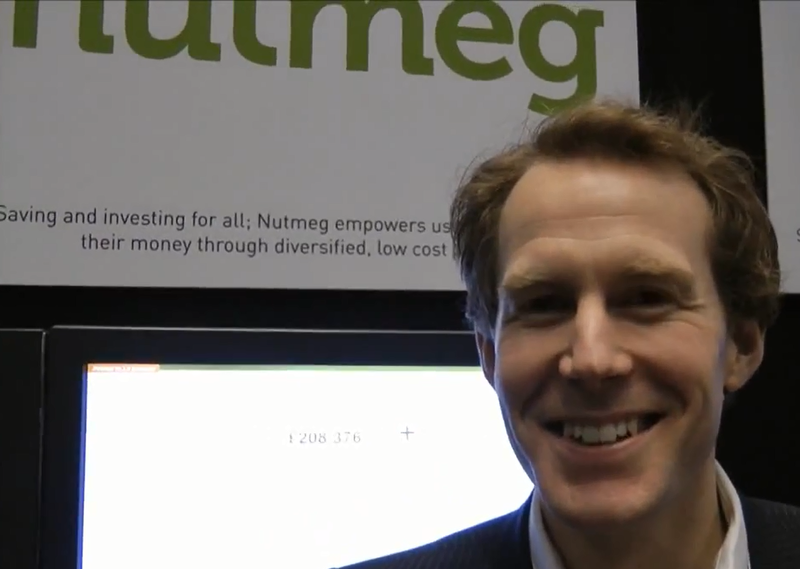 At the end of another long day packed with innovative digital services and platforms, I managed to record a short interview with one of the ‘best of show’, a champion of transparency and simplicity in portfolio management, nutmeg. I invite you to watch my short video with Nick Hungerford – Founder & CEO.